Over halfway through of Burger Week, and I’m still going strong! Joining me for Day #5 was Keegan, Jordan, and Olivia. We arrived at Cheachie’s and they informed us that they weren’t making their Burger Week burgers for that day. Eventually, they gave in and said they would make them for us (is there anything this Ambassador sash can’t do?). The patty was cooked pretty nicely, and had a good char. I really enjoyed the bourbon sauce, and it was a taste I have yet to experience on a burger so it was a new welcome experience. The bun was ok, but it did have a bit of a problem holding together. I also would have liked a different style of onions, as the yellow onions were the wrong flavour for this burger. Overall, this burger fell in the middle of all the burgers I’ve had so far this week. 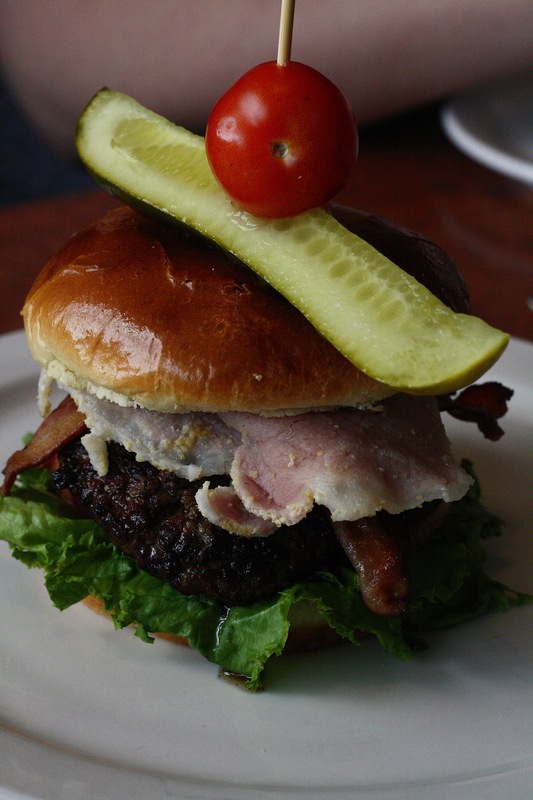 Continuing on to the second burger of the day, we arrived at Clay West to try The Hempster. Immediately, I could pretty much tell that there was going to be too much bun for this burger, and I was right. Not to say that the bun wasn’t good, it was just out of proportion in regards to the patty, which was cooked nicely, but I felt it could use a bit more seasoning. I did really like the cheese, and I thought that there was some nice flavours going on with the hemp aioli and the pico de gallo. 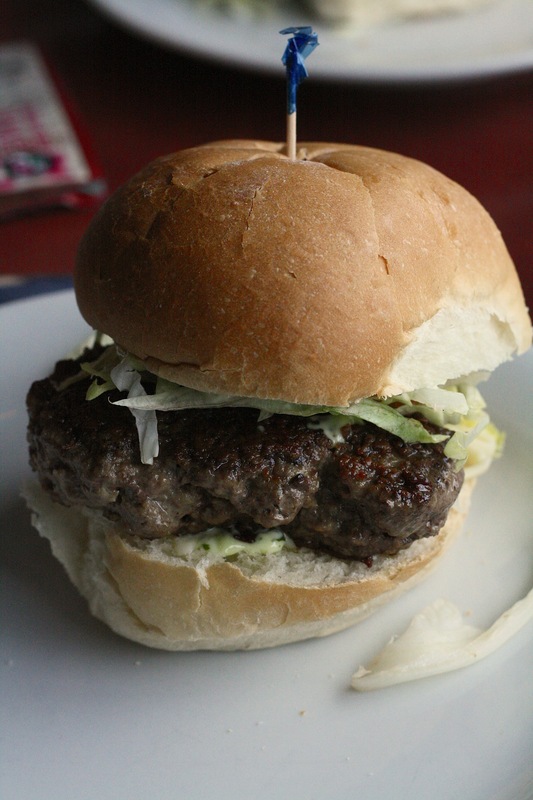 If there had been a different bun, I feel like this burger really could have pushed ahead of a lot of burgers. After having a discussion with the team about the name of this burger (I’ll let you figure that one out), it was time for the Gringo Trio Burger from Jungle Jim’s. Soon after we got the burgers, our waiter came back and told us that they didn’t put the tortilla strips on them, which was kinda disappointing but we got over it. 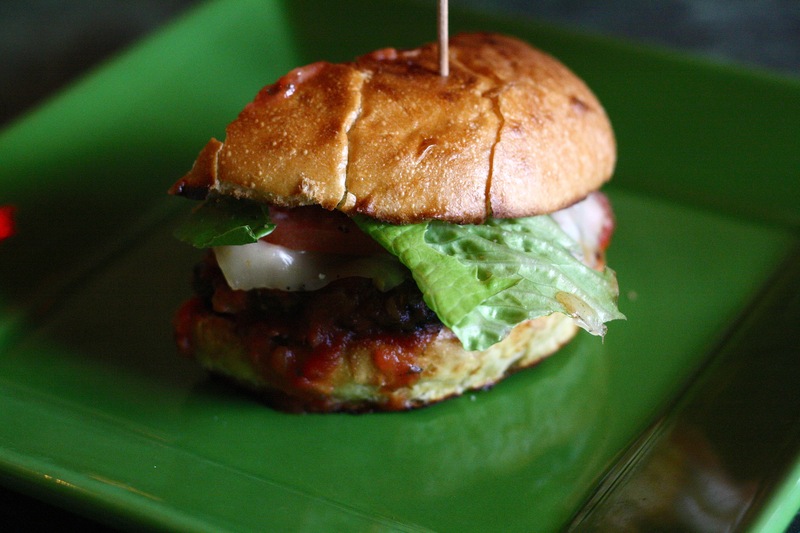 I did really like the salsa on this burger, and the kick that came along with it. I thought that there was a bit too much sour cream on mine, and in turn, that aided in making the bun get soggy. While this burger did have some negative elements, it also had a few positive ones. I just would have liked to experience the crunch of the tortilla strips. I watched the staff at BOOMburger as they made our KaBOOM burgers, and I was kind of surprised to see that they were doing them with the buns flipped around. When I finally got to try the burger, I found that I really liked the crunch that the reversed bun had on the outside. Having the soft part on the inside did, however, cause the bun to easily fall apart when faced with the sauce in the burger. The BBQ sauce was delicious, and it gave a really bold taste to the burger. 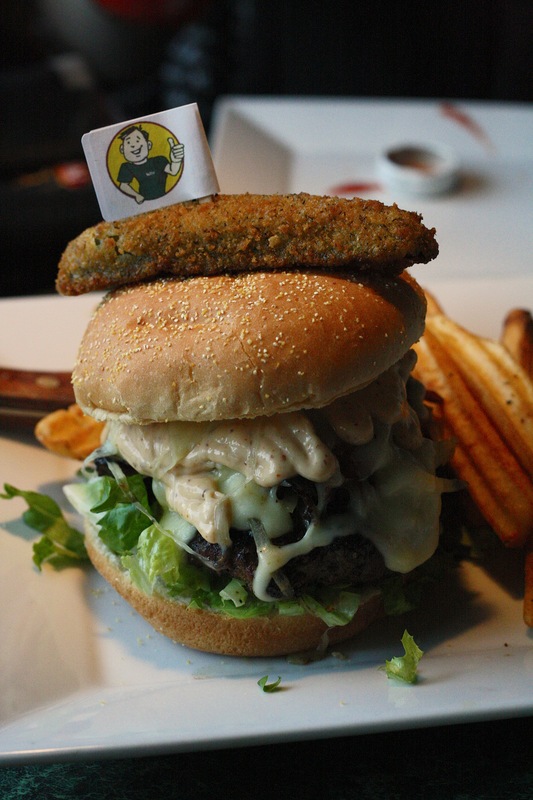 The mushrooms and pickles in this burger were plentiful, and I wasn’t complaining cause they were delicious! This burger was a really tasty time, even if it was kind of messy. The massive meal that is the BBB Bacon Burger was the next victim for this Ambassador, and it was truly an undertaking. This burger had one main focus, and that focus was meat. The patty itself was fairly large, and it had a great charred outside, while still maintaining a great juicyness on the inside. The two different kinds of bacon were amazing, and there was even a bacon jam that was a very welcome, and delicious, addition. My only complaint was that the bun didn’t really hold up (which seems to be a fairly common thing this week), but that was probably due to all the meat juices that were happening. This was a pretty delicious burger nonetheless. 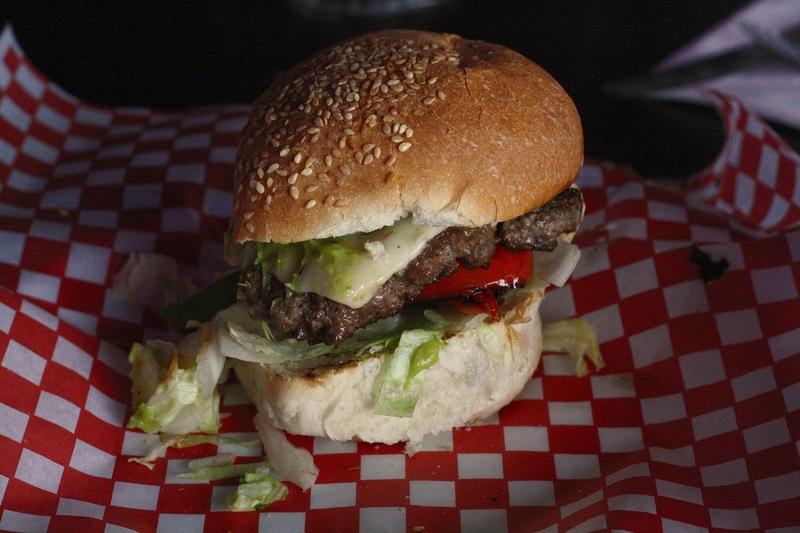 Next up was The Mexican Burger from True North Diner. After the first bite, it was clear that the peppers were running the show when it came to this burger. The red and green peppers gave the burger a crisp, fresh taste, while the jalapeños gave the spicy kick. The patty was nice, but it lacked a bit of flavour/seasoning. I also would have liked more guacamole on this burger, as the few bites that actually had some were great. The bun held up, and was nicely toasted. This was a pretty solid burger. Right off the top, I’m going to admit that I’m not a fan of pineapple (I know, I know), so I had mixed feelings about this burger. I did like the idea of chicken and beef, mostly cause I’m a big fan of “it’s so crazy, it just might work” burgers. The chicken was delicious, and it actually worked pretty well with the beef patty. I did find that there was way too much pineapple, but again that’s just me (the other pineapple-lovers at the table had absolutely no problem with it). I liked the chipotle mayo in conjunction with the chicken as they worked really well together. I do think that they needed a better bun, because this one stood no chance against the massive slice of pineapple. 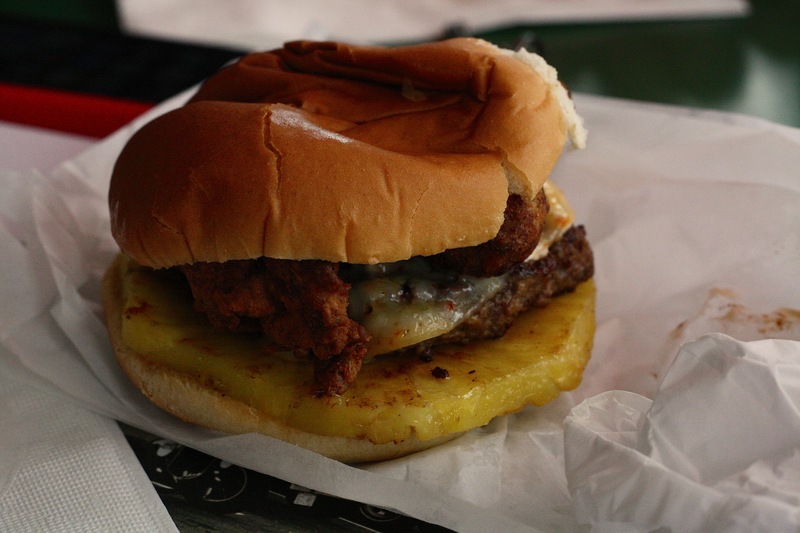 If you love pineapple, this is definitely the burger for you. 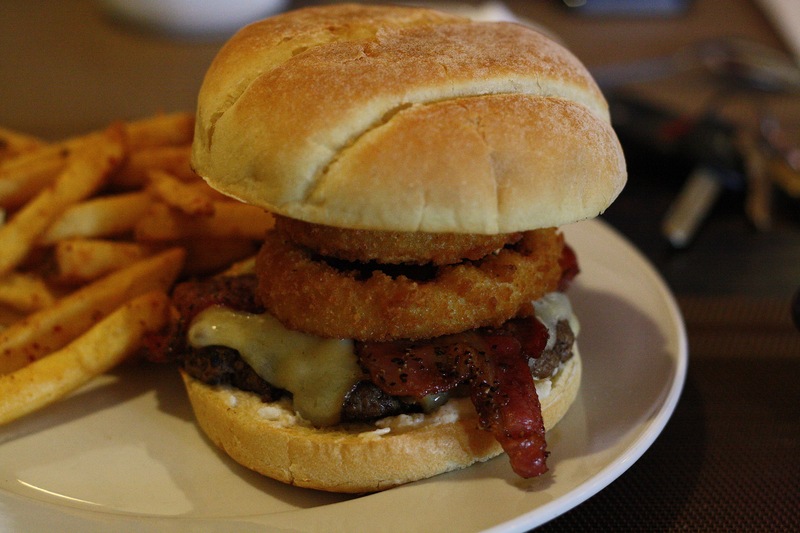 Yet another burger with onion rings! Burger Week knows what it’s Ambassador wants! This burger also had a lot of other great components too. 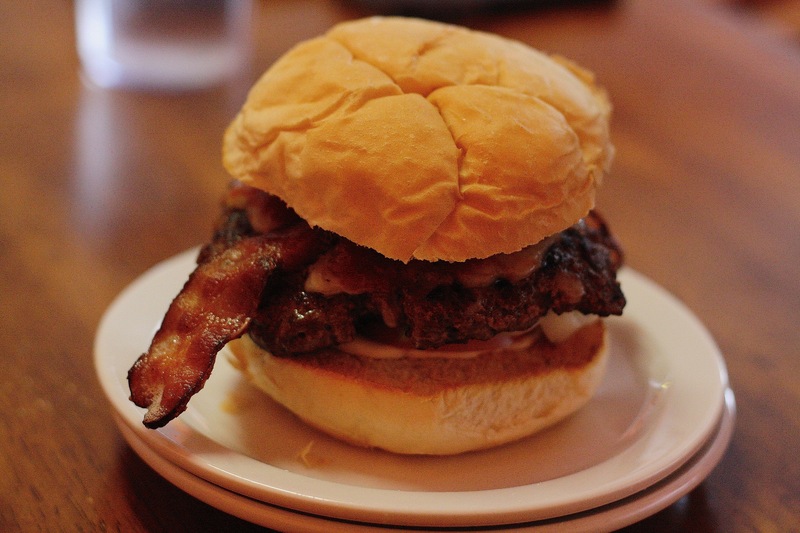 The bacon was super delicious and cooked to perfection, and the same can be said for the patty as well. I really liked the interesting taste that the horseradish mayo gave to the burger, and it worked well with everything else. The bun was great, although it was getting kind of close to being too much, but it managed to win me over. I also have to mention that the staff here were great, and they went above and beyond to make sure we were satisfied! For the last burger of the day, we ventured out to Lefty’s to try their Reuben Burger. There were a lot of delicious things about this burger, but my favourite was that bistro sauce. It was so full of flavour, and they put a bunch on which was great (sometimes I like it saucy). 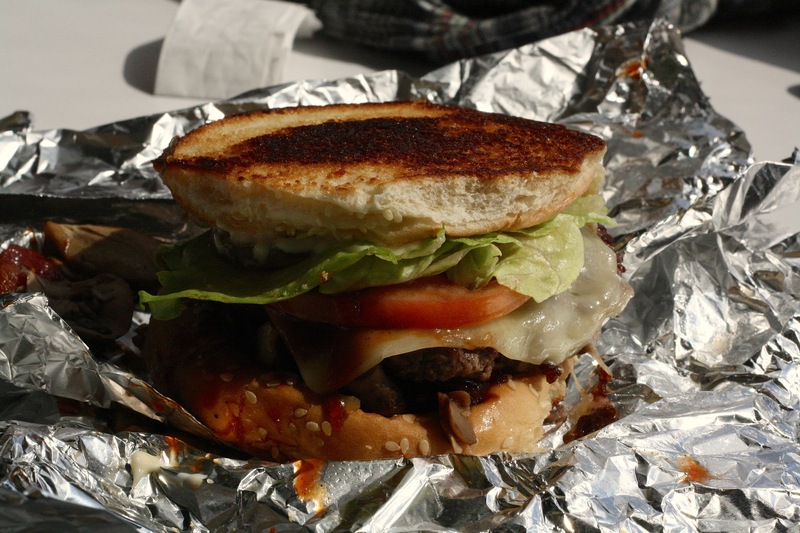 The smoked meat was amazingly delicious, and the patty had a great charred outside, and a perfectly cooked inside. I do have to say that this burger was a pretty messy time, but it was totally worth it. Also, keeping the trend going from the last place, the staff at Lefty’s were great, and they even gave us some Lefty’s swag!